Baptism is a vital part of the believer's life. Jesus said, "Go into all the world and make disciples of all nations, baptizing them in the name of the Father, and of the Son, and of the Holy Spirit." Matthew 28:19. This is to be done in the authority of the Name of Jesus. We must be careful not to conclude that baptism alone saves, for Ephesians 2:8-9 says, "by grace are you saved through faith." We are not saved by church membership, faithful attendance, the Lord's supper, or baptism, or all of these things put together. We trust ourselves to Jesus Christ as our Savior, and He alone has the power to save. 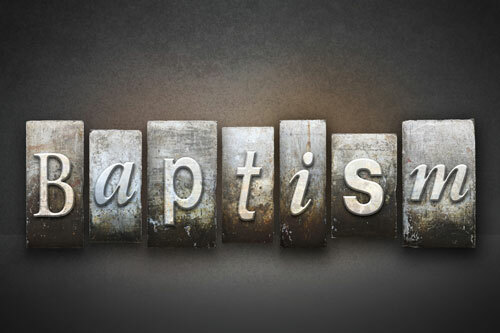 Baptism is demonstrated as an act of obedience and an outward showing of our conversion into the Body of Christ. Baptism symbolizes the death, burial and resurrection of Jesus Christ and our own relationship to His victory over sin, death and the grave, Roman 6:35. The one being baptized is presenting himself as a dead person to be buried with Christ saying, "I am finished with the old life. I want to live in the power of the Resurrected Life of Jesus."